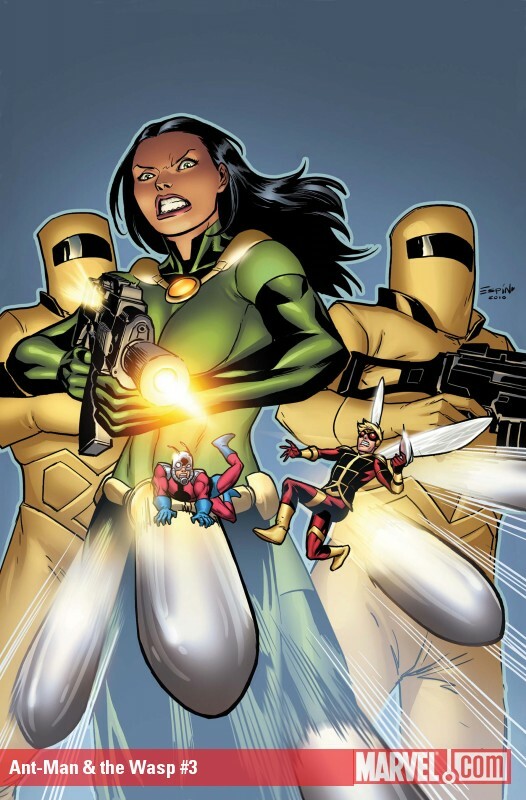 Marvel just finished a fun three-issue mini-series entitled, Ant-Man & Wasp. It was written and penciled by Tim Seeley with inks by Victor Olazaba. The mini-series has action, humor, and some cool science. I’m a big fan of the All-New Ant-Man as well as Hank Pym. If you like either of these characters, I highly recommend you pick it up. 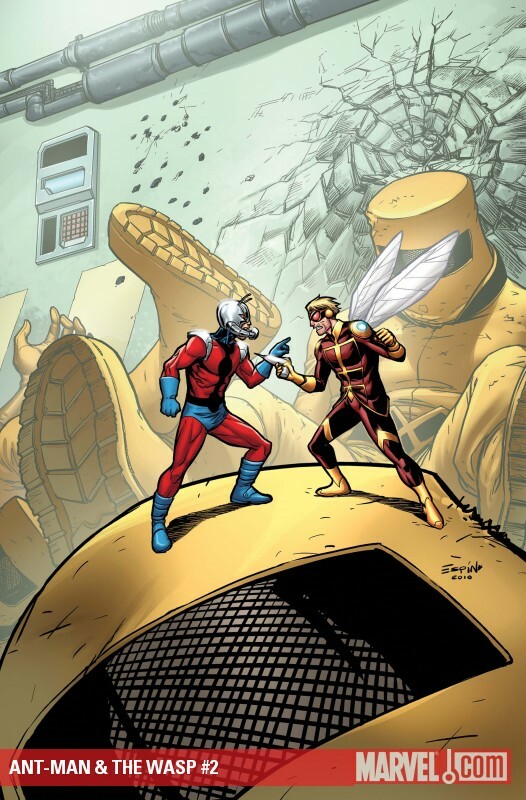 I’ve always liked the Hank Pym character. He was one of Marvel’s first heroes, yet he’s such a wreck. All the problems he’s had over the years make him a lot more interesting than most other squeaky-clean heroes. He’s constantly searching for redemption. I absolutely loved the short-lived comic, The Irredeemable Ant-Man! That series launched back in 2006 and only lasted 12 issues. I enjoyed it so much, I stole my “Irredeemable” moniker from that comic. As the new Ant-Man, Eric O’Grady made for a poor superhero and a despicable human being — but dang was the comic hilarious! 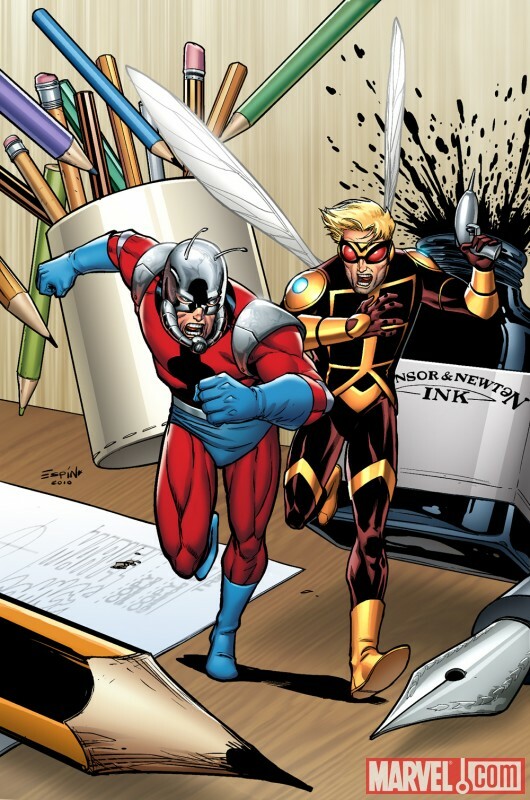 Since the cancellation of The Irredeemable Ant-Man, Eric has been relabeled the “All-New” Ant-Man appearing in series such as Avengers The Initiative, Thunderbolts, and Secret Avengers. Eric is the antithesis of Hank. 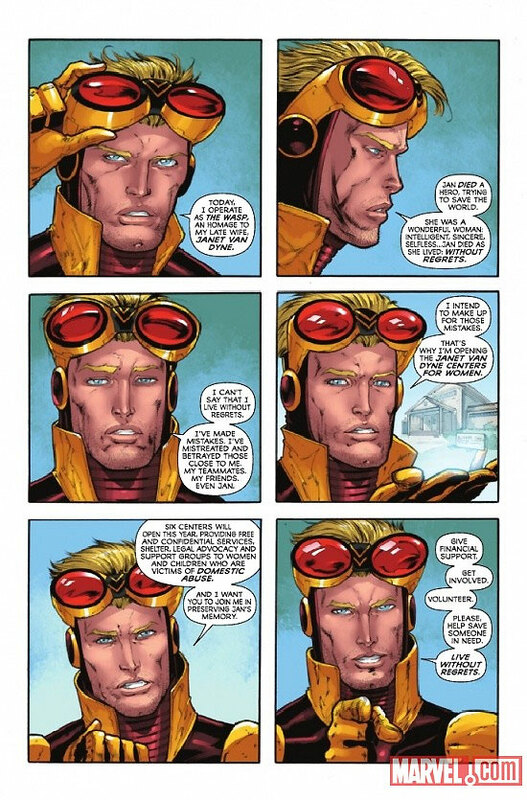 Pym is always seeking redemption for his actions, whereas Eric revels in his disgraceful behavior. Showing his true Irredeemable colors, Eric follows up by saying, “Y’know, I thought being an Avenger would mean better quality one-night stands, but I still have to send a few down the fire escape so the neighbors don’t see them. Woof.” That’s absolutely horrible, but hilarious at the same time! I was happy to see a moment like this, demonstrating that Eric can still be irredeemable. Don’t get me wrong, I don’t endorse behavior like this. It’s just that in a world of super-powered people, surely somebody gifted with powers would be a completely dirtbag. And besides, it’s funny! During the course of the mini-series, we see that Eric isn’t completely horrible (just mostly). Two of Marvel’s smallest heroes must join forces and get over one BIG elephant-in-the-room! Eric O’Grady once STOLE the Ant-Man suit from Hank Pym. But now, Eric is the only one who knows about a secret AIM plot to steal Pym’s greatest invention! Can the two men get along long enough to save the soul of the former GOLIATH, Bill Foster? You can still find Ant-Man & Wasp in stores now! Check it out! I professed my undying love for this mini-series on the twitter. Big agreement here!